Thirty years ago, along Chang’an Avenue in front of the Tiananmen Gate in the Chinese capital of Beijing and in the city’s central thoroughfare, fully armed martial law troops used machine guns, tanks, and even dumdum bullets—which had been banned by the international community—to massacre unsuspecting and unarmed young students and citizens who were petitioning peacefully. The bloody carnage claimed thousands of vibrant lives and hurled thousands of families into an abyss of despair. During the Great Famine of the 1950s and 60s, in which tens of millions of our compatriots starved to death, former Chinese President Liu Shaoqi warned Mao Zedong, “People are eating people—it will be written in books.” Considering this, we can’t help but wonder: Wouldn’t the People’s Liberation Army’s mass killing of innocent people in full public view also be recorded in history? How can these numerous murderers escape the trial of history in the end? It has been 30 years since the June Fourth Massacre. While it may be just the blink of an eye in the great river of history, it can be an eternity in a person’s life—long enough for a newborn to become a parent himself. For 30 years, dust has risen and fallen, and the moon has waxed and waned, but nothing has soothed our trauma and pain inside. Our suffering is not limited to the massacre on the night of June 3-4, 1989. Over the last 30 years, the Chinese authorities have repeatedly torn open the deep wounds in our hearts and rubbed salt in them. Those in power had initially brashly claimed they would “kill 200,000 people to maintain stability for 20 years,” dispatching hundreds of thousands of field army soldiers to Beijing to kill and burn. But afterwards, the authorities shirked responsibilities and began the despicable and cowardly act of fabricating history. The government first characterized the June Fourth Massacre as “turmoil” and “counterrevolutionary riots,” before relabeling it a “political disturbance” several years later. However, in the 2018 compilation of The Chronicle of40 Years of Reform and Opening prepared by the Institute of Party History and Documentation, the June Fourth Massacre was again relabeled as “turmoil” and the “suppression of counterrevolutionary riots.” Aren’t all the confusion, flip-flopping, and backpedaling making the lies even more hideous? In order to defend the principle of “peace, rationality, and non-violence” that our loved ones had upheld before their death, the Tiananmen Mothers, since 1995, have sent joint open letters to the annual sessions of the Two Congresses—meetings of the National People’s Congress and Chinese People’s Political Consultative Conference—and the country’s leaders. In these letters, we have formally proposed our three demands to justly resolve June Fourth, namely: truth, compensation, and accountability. We have also proposed equal dialogue with the government, suggested dealing with June Fourth through legal procedures, and recommended principles such as tackling the more straightforward issues first before gradually solving the more difficult ones. Our group members have passed away one by one, with another five gone in 2018! In our sadness and longing for our June Fourth martyrs, who died with unresolved grievances, we are reminded of the victims of the Second Sino-Japanese War. 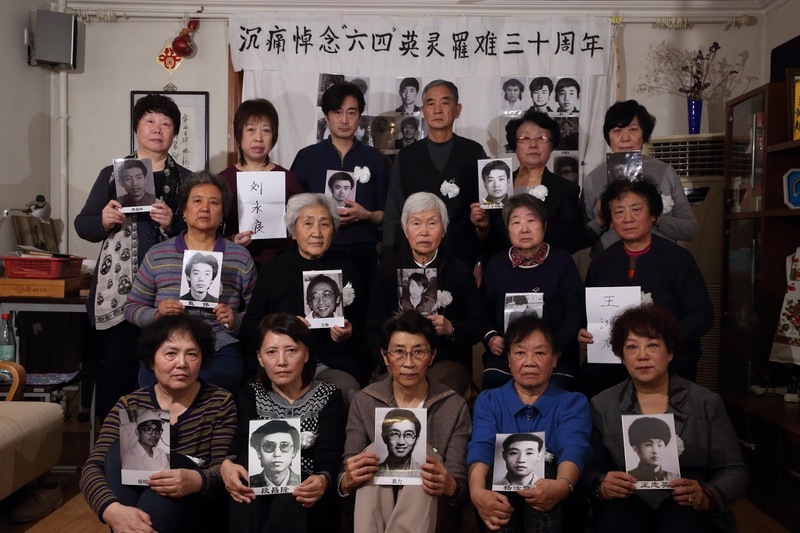 In recent years, the victims (including families of those killed in the Nanjing Massacre, germ warfare victims, and comfort women) have persisted in their requests for apologies and compensation by the Japanese government, and yet the Japanese courts have repeatedly rejected their just demands. On the one hand, the Japanese government has spared no effort to cover up the truth. On the other, it has engaged in delaying tactics in the hope that victims will age and die out one by one as the matter drags on. Its words and deeds have not only filled the victims with indignation but also compelled some Japanese scholars—as well as perpetrators—of conscience to take action to uncover the truth. The ugly deeds of the Japanese government and right-wing forces present a striking contrast with the conduct of the former Chancellor of West Germany Willy Brandt: In 1970, he knelt before the monument commemorating the Warsaw Ghetto Uprising in Poland to express remorse and apology. It was Hitler and the Nazis who were responsible for the Holocaust. And Willy Brandt was the chancellor of the free and democratic Germany many years later. In the normal course of things, there was no longer any relationship between them. But Brandt nevertheless took responsibility for the crimes of Nazi Germany and fell to his knees, apologizing to the slain Jewish people and the whole world. Brandt’s kneeling in Warsaw left the international community in awe, elevated the international image of the German nation, and allowed the country to return to the civilized world. For this gesture, Brandt was awarded the Nobel Peace Prize the following year. The kneeling in Warsaw also became an important milestone in the improvement of relations between West Germany and Eastern European countries after the war. Since the CPC’s 18th National Congress, an emphasis has been placed on “rule the country by law” and “judicial justice.” In particular, the country’s leaders have repeatedly vowed to “allow every citizen to enjoy judicial fairness and justice.” As mentioned above, since 1995, the Tiananmen Mothers have sent jointly signed letters to the annual Two Congresses and the nation’s leaders, in which we have formally proposed our three demands for the fair resolution of June Fourth—truth, compensation, and accountability—along with the recommendation to resolve June Fourth through legal procedures. We have also turned our demands on paper into practical action. On May 14 and May 21, 1999, right before the tenth June Fourth anniversary, we filed complaints against Li Peng, one of the perpetrators of the massacre, with the Supreme People’s Procuratorate. The two complaints were delivered by family members of the victims, which were accepted by the SPP. Our actions back then were consistent with the current government’s judicial reform efforts, but why haven’t we received a single response to this day? 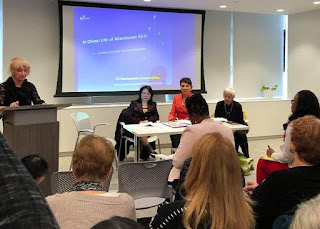 United Nations(UN) Commission on the Status of Women Session 63 opened in the morning of March 11, 2019, at the headquarters in New York. Women’s rights in China (WRIC) was invited to attend the regional meeting held on the 8th floor of Church Center. Zhang Jing, the founder of WRIC, and other three guests made keynote speeches. 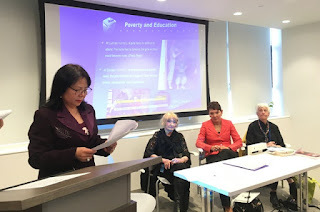 The discussion theme was: Abandoned in China—Baby Girls &amp; Elderly Widows. There were so many people listening that the late arrivals had to stand behind. The seminar was chaired by Ms. Lois A. Herman, a UN Special Rapporteur on Violence Against Women. 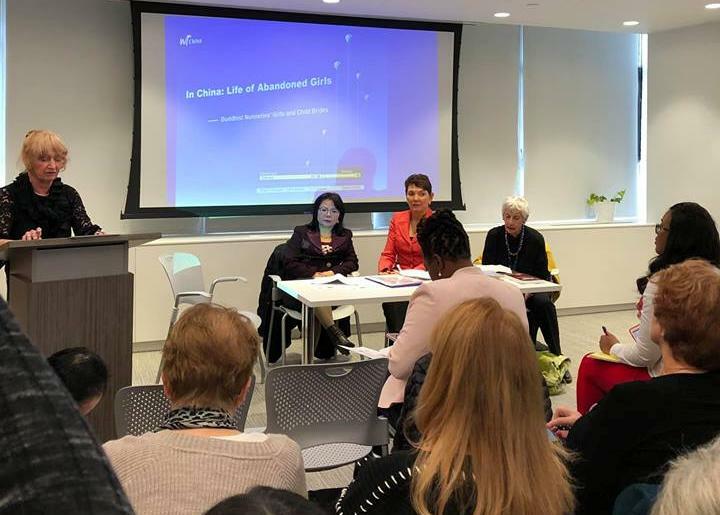 In the meeting, Ms. Reggie Littlejohn ——A Attorney, the Founder OF Women’s Rights Without Frontiers presented Videos on “Abandoned Baby Girls &amp; Forced Female Abortions in China”. Ms. Margaret Owen, a UK Barrister, the Founder & CEO of Widows for Peace Through Democracy presented a Video on “China Elderly Widows”. 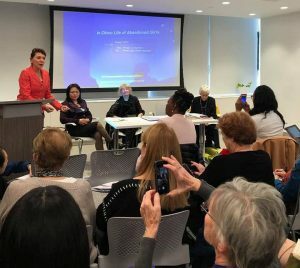 About the rights, the social status, and welfare of Chinese women and children, the guests made speeches and held discussions from their respective perspectives and studies. The Attendees and the speakers interacted with each other. 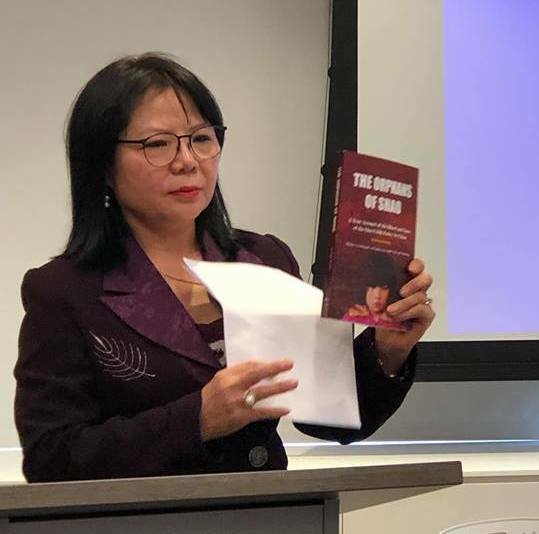 Zhang Jing pointed out: The human rights situation in China has not improved with the rapid economic growth, especially for the majority of vulnerable women, including abandoned and abducted children. In fact, they are suffering from double persecution. First, there is the traditional patriarchal culture. Second, the Chinese government made many law or policies that are not fair to females, and the worst one was the One Child Policy. Chinese society has experienced unprecedented humanitarian disasters. The crimes of abandoning, abducting, and killing female infants are rampant. In short, the One Child policy is the most devastating man-made disaster. This disaster has characteristics of the most homicides, widespread victims, and deepest pain in the longest time ever. According to the first-hand information from WRIC, Zhang Jing also introduced the tragic life experiences and living conditions of two neglected vulnerable groups： abandoned girls who grew up in nuns and modern child brides. They were both the direct victims of China’s family planning policy. The speech aroused a heated response from the audience, and the media interviewed and reported them one after another. WRIC’s volunteers Wang Dongye and Yue Zhang also attended the meeting. Assisting in screening PPT is by Wang Dongye and taking photos and videos by Yue Zhang. 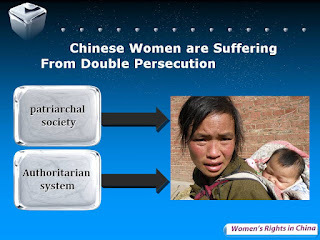 The human rights situation in China has not improved with the rapid economic growth, especially for the majority of vulnerable women, including abandoned and abducted children. In fact, they are suffering from double persecution. First, there is the traditional patriarchal culture. Second, the Chinese government made many law or policies that are not fair to females, and the worst one was the One Child Policy. Chinese society has experienced unprecedented humanitarian disasters. The crimes of abandoning, abducting, and killing female infants is rampant. In short, the One Child policy is most devastating man-made disaster. This disaster has the most homicides, widespread victims, and deepest pain in the longest time ever. Today, I will focus on two vulnerable groups that have received little attention in China: The abandoned girls at Buddhist nunneries and child brides. Both groups were hurt by the Chinese government’s policies. The traditional concept of valuing only the male child is deeply rooted in China, and the harsh one-child policy has led many Chinese parents to abandon their baby girls in order to preserve the opportunity of having a boy. Some parents believe that Buddhists are merciful and leave their female children to the care of the nunneries. There are more than 50 nunneries in Tongcheng, Anhui Province. Each nunnery has adopted several to dozens of abandoned girls, with an estimated total of more than 1,000 in Tongcheng alone. The nuns said, when they opened the door in the morning, they often saw an infant with some small clothes in a basket, and a short handwritten letter containing the date of her birth and thanks. Sometimes, the baby had been frozen or bitten by wild dogs to point of death. Nobody knows their surnames, so they are all given the surname of Buddha, “Shi”. 8 years ago, an infant with weighing less than one kilogram was found abandoned on a haystack beside Jingtulianshe nunnery on verge of death. WRIC’s volunteers and nuns took her to the hospital together. After more than three months of rescue, she survived, and was named Shi Zongyuan. Shi Chengyuan was brought to a Buddhist nunnery by her family to burn incense at age 5. Then her family abandoned her. There was a note with her birthday in her pocket. Ever since nuns raised her, she has grown up and taken on the duties as a nun. From the beneficiary of the WRIC’s project of Assistance for Girls in Nunnery, Shi Chengyuan became a volunteer for it and is willing to help all those in need. Nunneries are usually very poor because of little contributions from believers who mainly worship and dedicate to big temples with monks. With so many girls to raise, it has become even more difficult. Some children have significantly worse physical development than their peers . There are also many children who died or ran away. Five girls at Dobao nunnery left after their master passed away and nobody knows where they are. Also, some nuns treat girls as personal belongings by forbidding them to go to school for education and mandating them to be Buddhist nuns. What worries nuns the most is education of the girls because they have no birth certificates. This means no household registration or eligibility for social welfare, and they have to pay high tuition fees to go to school. WRIC’s volunteers have repeatedly negotiated with the local government for considerations and assistance. 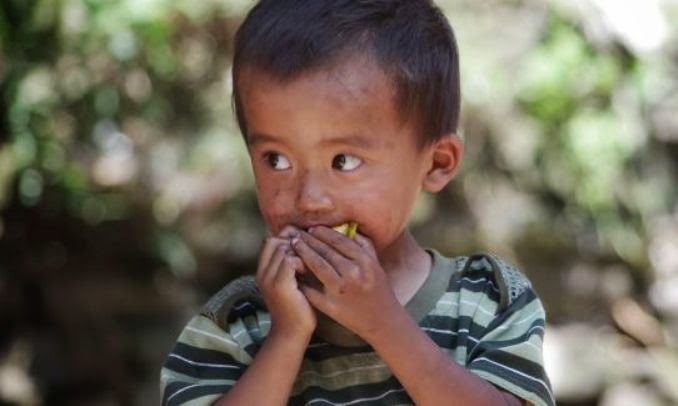 Since 2013, children have received 600 Yuan per person every month as an orphan allowance. However, education is still a luxury to them. Over the past 30 years, there have been very few female college students raised by nunneries in Tongcheng. These girls have not only psychological problems, but they also have no personal safety at all. A migrant worker raped Shi Liuyin, an 17 year old girl of Gulingquan nunnery, causing her to become pregnant. Eight months later, WRIC volunteers learned her story and found her at a dilapidated temple in mountains, lonely and helpless. They let her live in the home of a volunteer. She was sponsored by WRIC and escaped compulsory abortion. Finally, she gave birth to a girl who is still being raised in the nunnery. At present, the Chinese government requires girls to go to the Welfare center for children (official orphanage) if they want to get orphan subsidies. These poor girls were abandoned by their parents because of the government’s one-child policy, and now government’s another policy has forced them to leave the nunneries where they grew up. Their lives have been destroyed again. What are the official orphanages? They can legally deal with the adoption of orphans, and thus obtain amazing profits, especially when it comes to foreign-related adoption. Official orphanages have been exposed repeatedly as scandals of illegal sales of babies and child abuse. Please take a look at “The ORPHANS OF SHAO”, a book published by WRIC. Next I want to talk about another neglected vulnerable group, the modern child brides in China. Betrothed children has been part of the long history in China. After 1949, they were rarely heard of. But since China enforced the One child policy in the late 1970s, the patriarchal culture also resurfaced and that came with child brides. The severest situation has been happening in Putian, Fujian province. According to the WRIC survey, the number of child brides from Putian rose dramatically high in 1983. The government’s One child policy has played a major role in fueling the situation. A child bride named Wang said that 31 years ago, her adoptive mother bought her from a trafficker for 94 Yuan. A child bride was killed by her husband in Putian, but the local official did not care and answered the reporter: If they are not allowed to have a child bride, can you help them find wives? Since 2009, WRIC has held several activities in Putian to search the child brides’ relatives, and has helped three child brides find their families from Guizhou province several thousand kilometers away. They were all abducted when they were kids. WRIC also successfully helped 15 girls find their biological parents through DNA comparison. Originally, it was the responsibility of the government to solve these social problems. But what the Chinese government has done is cruelly cracking down on charitable organizations like WRIC. In the five Chinese projects of WRIC, volunteers were always criticized, threatened, chased, blocked, arrested, imprisoned and sentenced. Since 2012, almost all WRIC volunteers have been detained and sentenced, and the project has suffered a fatal blow. On behalf of all the members of WRIC and the recipients of our projects, I would like to pay the highest tribute to the political persecuted volunteers of WRIC! Girls in nunneries and child brides are just the tip of the iceberg for China’s vulnerable groups. The Chinese government ignores the suffering of these vulnerable groups and refuses to take responsibility. They even close all information about one child policy victims, deaths and damages to the top state of confidentiality. This is unfair, malfeasant and criminal to all Chinese people, especially women and children. The Chinese government must face the history, take responsibility, and compensate all victims. WRIC will continue to appeal for women and children under the dual persecution of autocratic power and patriarchal society. Pay attention to vulnerable groups such as nunnery girls and child brides, and continue to fight for their basic rights and interests. On the day when the world commemorates 70 years since the adoption of the Universal Declaration of Human Rights, waste bins outside the only Laogai Museum in the world in Washington DC were filled with valuable Laogai Research Foundation (LRF) books documenting China’s vast Laogai system of forced prison labor. China’s government must feel relieved. And why shouldn’t they be? 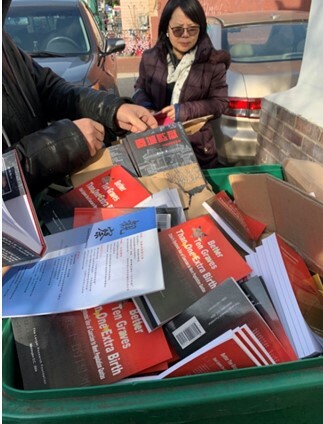 Jing Zhang discovered that waste bins outside the Laogai Museum in Washington DC were filled with valuable Laogai Research Foundation books Dec 11,2018. The Executive Director, Ms. Huang Ciping, also found that a large number of secretaries were thrown away from the door of the Laogai Museum same month. The discarded books were in excellent condition, and were thankfully retrieved by Committee for U.S. International Broadcasting (CUSIB) Board Member Jing Zhang and two other Lagoai survivors who were in DC to participate in a Wei Jingsheng’s Symposium in Observance of 40th Anniversary of Beijing Democracy Wall, 4th “Human Rights Without Borders” Exhibition, and 4th “Human Rights and Freedom Defender” Prize Award Ceremony. They saw the waste bins outside the Laogai Museum while visiting the premises. Thrown away as refuse were the survivors’ own personal stories and accounts of many other Laogai survivors. This former repository of their brave tales had become a scene out of “Fahrenheit 451”, but without the flames. At a time when China has re-invigorated its Laogai system to oppress Uyghurs in the Xinjiang Province, Laogai survivors feel dishonored. How can the present management, or those who served since Harry Wu’s death keep such a valuable resource about the Laogai system hidden from those who would learn from it? The documents and artifacts contained in that building were to be available for research and scholars – and for the general public – and can refute many of China’s defense claims about their human rights atrocities. Can there ever be a more important time to make this information known? Or is this the time to throw them in the garbage? Of course, Laogai survivors, some who have contributed artifacts and documents for display and research at the Laogai Museum are truly upset that the current management has shuttered the doors except for nominal visits, and employees are in the process of throwing out books that document the Laogai survivors’ suffering. Adding further insult to injury, an employee told the visiting Laogai survivors of an unconfirmed rumor that the museum’s building might be sold. Prior to Harry Wu’s death, he and the museum staff worked with the US Department of Homeland Security to identify products made through forced labor in China’s Laogai. They planned to host a photo exhibit to highlight Nobel Peace Prize Winner Liu Xiaobo and a photo exhibit about the plight of Tibet. They planned to co-host a conference with the Cato Institute about the 50th Anniversary of the Cultural Revolution and its impact on human rights in China. 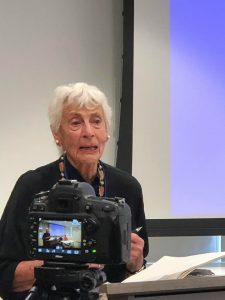 They planned to continue to hold quarterly lectures series with the American University students and faculty, and the publication of a book to be authored by former Congressman Frank Wolf. All of these projects and plans required reliance on and the dedication of the Laogai Museum staff. When the Laogai Museum closed in December, 2016, the entire staff was fired by the management. The Laogai Research Foundation staff then commenced a lawsuit. The status of the Laogai Museum must now be addressed by the current management which is responsible for warehousing all the artifacts, the museum’s collected works, an entire third floor of documents intended for research in a building which remains closed and unavailable to the public. The Laogai Museum’s relevance is clear, and we should not let this resource disappear. We must also remain vigilant about Voice of America China services, the quality of VOA broadcasts, and the willingness of VOA management to permit the opinions of China’s communist leaders in VOA programs without properly countering their propaganda and disinformation with voices of critics and victims of communism such as those that were once presented in the Laogai Museum. 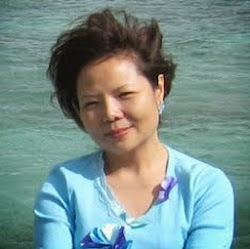 Jing Zhang founded Women's Rights in China in 2007. WRIC sponsors five projects that protect women and children in China. WRIC headquarter is in Flushing, New York. WRIC is a 501(c) 3 organization. Web: wrchina.org crchina.org. Yujun Zhang is responsible for this blog. - WRIC aims to develop assistance and educational programs for girls in Mainland China’s poor rural areas. In addition, the Rural Girls Assistance Project gave a one-time 20 dollars assistance to every expectant mother with 5 to 9 month pregnancies.The project was designed to combat gender discrimination in China, to fight for girl babies’ equal rights to survive, to give encouragement to mothers of girls, in order to strengthen the confidence of mother and daughter, to enable young girls to grow up in both mental and physical health. - WRIC helps to raise awareness and reunite child brides to their families through DNA testing and conferences. - Since 2008, WRIC started to spread awareness about missing children. In 2010, Huijiawang (branch of WRIC) organized the First Chinese Citizens’ Anti-Trafficking Discussion and Conference. In addition, WRIC exhibits hundreds of photographs of missing children in China and in New York. - WRIC helps to support orphans in China, in particular the abandonment of female infants. - We help women who have undergone forced abortions due to the One Child Policy. In addition, we raise awareness about the severity of the issue. China’s War on Baby Girls-----China threatens families who resist its one-child policy. Union Square event 2013: WRIC Announced the Publication of "Shao’s Orphan"